Posted September 18, 2018 by Angie Ball & filed under Life and Health. Life insurance gives you peace of mind as it provides financially for your loved ones, favorite charity or another purpose. September is Life Insurance Awareness Month, and it matters for several reasons. A successful marriage or partnership includes sharing life and provisions with each other. Continue this arrangement after your passing when you purchase life insurance. It provides financial resources that can pay for final expenses, debts and daily living expenses. You continue to provide for and support your loved one when you purchase enough life insurance. Caring for your kids is one of your greatest responsibilities in life. Continue caring for them in the future with life insurance. It covers their daily living expenses, funds college or provides additional support as they grow and mature. With life insurance, your legacy lives on as you care for your children. The home you buy often includes a 30-year mortgage, utilities, insurance, and taxes, expenses that continue even after your passing. Life insurance can pay for these expenses, allowing your family to remain in the home you shared. You minimize stress and give your family peace of mind when you purchase enough life insurance to cover home expenses. You may save an adequate nest egg to fund your retirement. Life insurance provides an additional supplement for your surviving spouse or partner. Your loved one may reinvest the money in a retirement account or use the money to pay daily living expenses, finance a move to a retirement community or cover other expenses. Continue to support your favorite charities after your passing. Name one or more charities as the beneficiary on your life insurance policy or donate the policy to charity. In this way, you continue to support the causes you believe in. 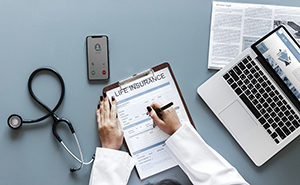 As a business owner, you may provide group life insurance for your employees or purchase extra life insurance coverage for key staff members. Life insurance can also fund a buy-sell agreement. For these reasons, it’s a valuable asset for your business. Your life insurance death benefit could become part of your estate. As such, it increases the amount of money you can give to heirs and other important causes. Every life insurance policy includes a beneficiary. Review your policies this month and verify that you have chosen the beneficiaries you want. You may change your mind, choose more than one beneficiary or purchase additional policies to provide for your chosen loved ones or charities. Life Insurance Awareness Month in September matters to you for several reasons. Make an appointment today to discuss your life insurance policies and needs with your insurance agent as you prepare for the future.